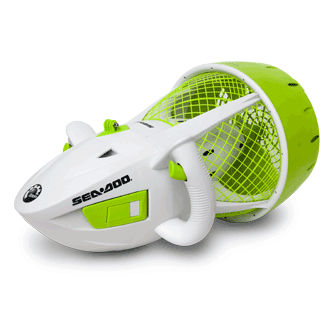 The new Sea-Doo Seascooter RS3 is a do it all seascooter that is at home at the beach, lake and even your back yard pool. 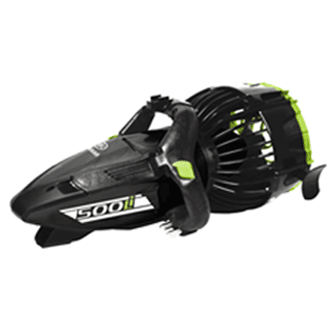 With 60 minutes of run time and a top speed 3 mph, you'll enjoy every second. 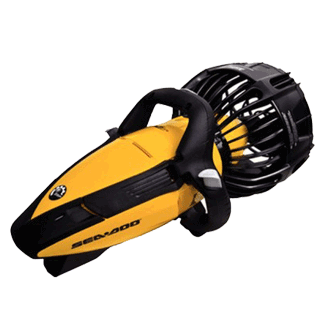 With the Seascooter RS3's 2 peed transmission, you can cruise around at a slow crawl, or kick it into high gear and rocket your way to your next destination. 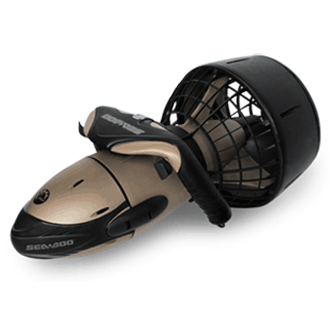 Whether you are crusining on the surface or diving under, the Seadoo Seascooter RS3 features a self-filling ballast hull to automatically achieve neutral buoyancy almost instantly. With its long lasting environmentally friendly LI-ION battery system, you'll not olny enyoy the benefits of its lighter weight and longer run times with the Seascooter RS3, but you'll reap the added extra of double the lifespan of traditional seascooter batteries and super quick recharging. 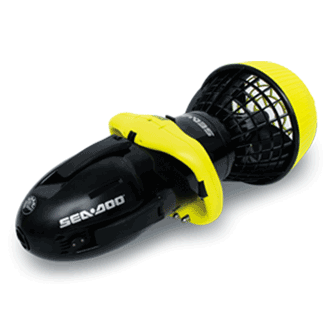 The Sea-Doo RS Series bateries can be found here. Also, this new technology allos for the battery to be recharged while in the unit.